Karl and Dan don't necessarily hit it off right away. Karl is a seasoned veteran at the station and when he is assigned Dan, there is a distrust right away due to Karl being attracted to Dan. Dan is there to work, but he also has other motives – Dan is there to figure out a mystery. He is steady and a hard worker. Over the course of a few weeks, he wins over much of the base, but is still a little reluctant to share his entire reason for requesting Alaska with Karl, despite their growing attraction. I enjoyed this story a lot because it was a lot of mystery and a little romance thrown in. There was action, but not over the top. I also liked how Karl and Dan's relationship was built on more than just their attraction. There was mutual admiration for each other and friendship to start with. This is an exciting romance set in the Alaskan Wilderness. Karl is an experienced Coast Guard officer and Dan is the new rescue swimmer assigned to his station. Compared to most of the Dreamspun Desires books, this has a much more complicated, action-filled plot. I really enjoyed the thrilling Coast Guard rescues and the darker mystery of Dan’s brother’s suspicious death. Both Karl and Dan are gorgeous hero types but there isn’t a whole lot of character development or traditional romance in this story. I don’t mind the lack of romance – though it is odd for a Dreamspun Desires title – but I would have liked a little more emotional depth to the characters and a little more of their pasts. The insta-love doesn’t completely work between two men who are otherwise quite guarded. While Dan and Karl are both likeable characters, the action adventure storyline is definitely the best part of this story. ELLE BROWNLEE has always followed her creative, adventuring spirit. Growing up she loved westerns and taking long hikes. On these explorations she’d craft miniature worlds with moss and rocks while making up stories about everything that happened there. This often included dashing cowboy heroes. As an adult, not a lot has changed. She still loves westerns, long hikes, and allowing her imagination to roam. She also loves spending time with family and friends, rooting for her baseball team, rainy days in autumn, and the perfect cup of tea (black, steeped extra strong, with milk—please!). Her romances feature flawed but relatable characters in immersive settings, told with wit, tenderness, and a sly note of sarcasm. Though a cynic in many ways, Elle believes love can conquer all. Every story is a little bit naughty, a whole lot of nice, and will always end with happily ever after. Elle currently lives in New York City, where she maintains her miniature worlds in terrariums and writing. She’s so thankful to be able to share her work with a growing audience, and especially grateful to have you reading along. 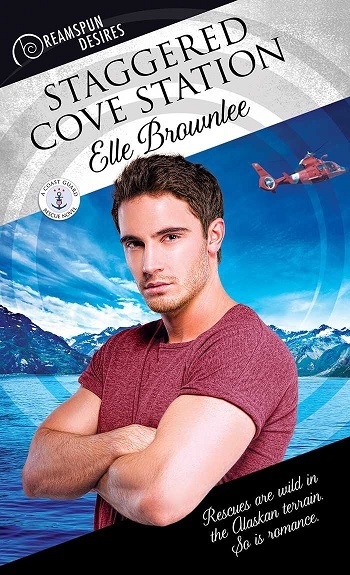 Reviewers on the Wicked Reads Review Team were provided a free copy of Staggered Cove Station (Coast Guard Rescue #1) by Elle Brownlee to read and review.